VOIP service Viber, have released a new version for their Windows Phone 8 App. The latest update brings a much awaited feature, Video Messages. Besides that, they have also enabled Viber Out, a premium service which you can use to call non Viber numbers, and even landlines. You can also send multiple photos in a single message now. Windows Phone users had to wait for these features, while the Android and iOS versions of the app have had them features for a long time. 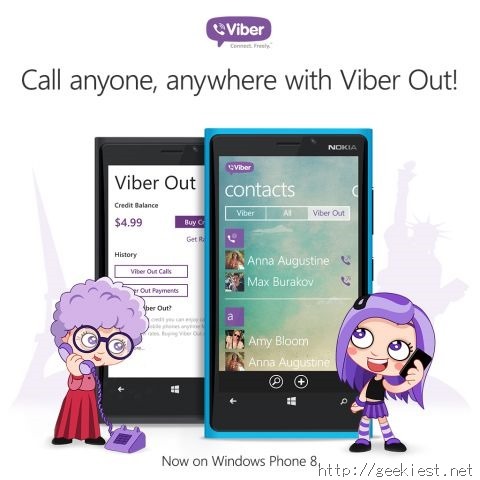 If you have a device running Windows Phone 8 or 8.1 you can download Viber for Free from the Windows Phone Store. Viber’s service was down last night for several hours due to an issue on their server. It was restored early this morning.